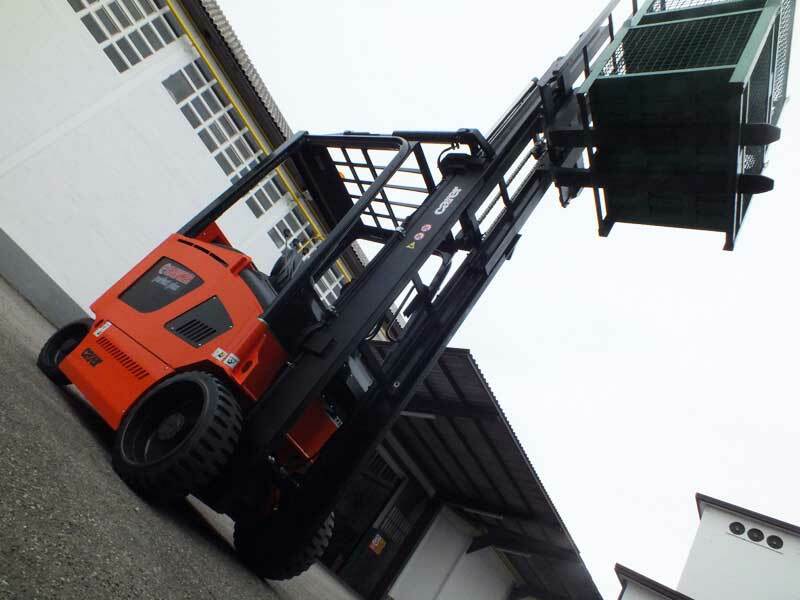 The possibility of maintaining high residual capacities at great heights, the compact frame and high traction and hoisting speed make Z25 HD the perfect multi-purpose compact forklift for special handling sectors such as fruit and logistics. 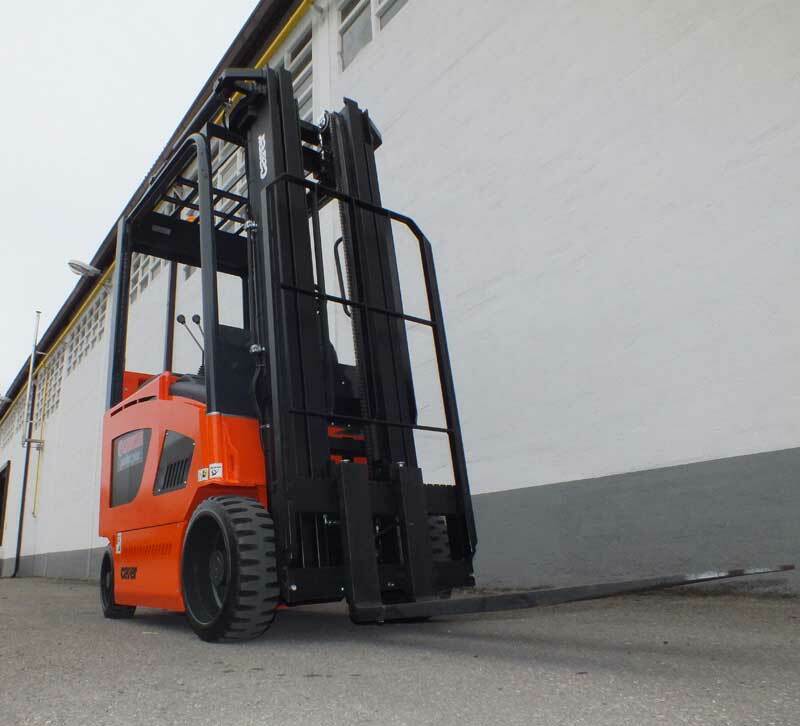 The Z25HD series compact forklifts offer low operating costs, very long operating time, extremely high performance and excellent visibility thanks to the raised driver’s seat, which is spacious and comfortable. These features make them adaptable to any condition of use, safe and reliable to deal with even the most heavy-duty tasks. Moreover, they stand out for their steering radius, one of the best in their category. CARER’s electric motors distinguish themselves for their high performance and torque. 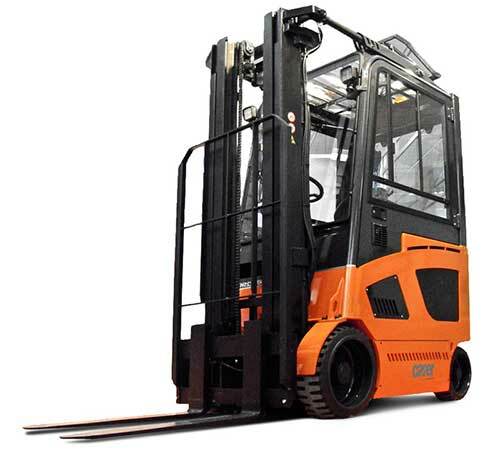 The power, which is managed electronically, gives Z25HD forklift trucks unmatched ignition, speed and maneuverability. There a many batteries with various amperage values to increase operating time. 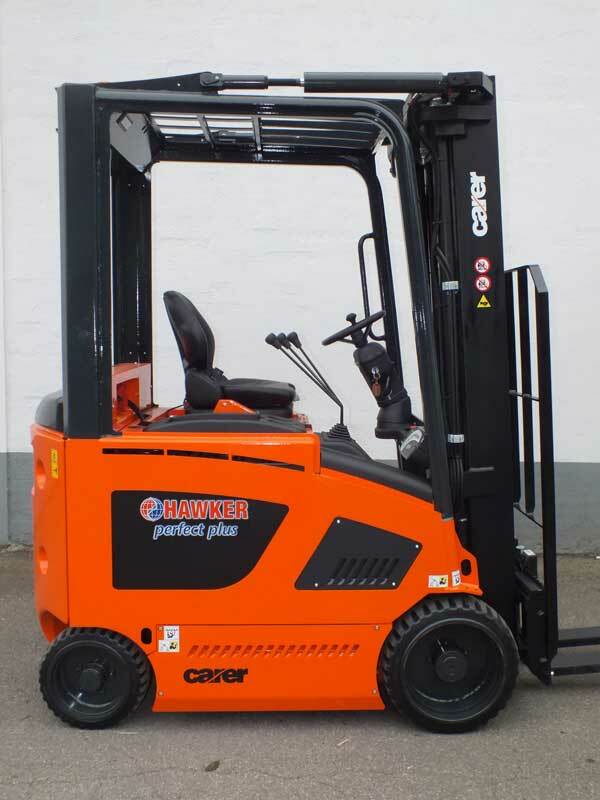 The battery, which can be removed from the side, can be replaced using a hoist or a forklift truck.